Brackenridge Hall offers suite-style living with three-, four-, and five-person suites for upperclass students. Residents enjoy a large communal lounge, study space, laundry facilities on the top floor of the building, and gym facilities on the main floor. Each suite features a MicroFridge and a private bathroom. Brackenridge Hall is home to the upperclass Business and Leadership Living Learning Communities. 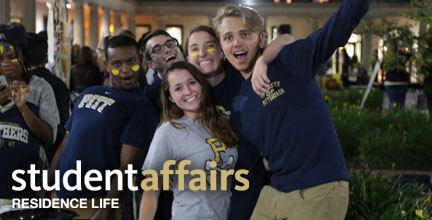 The Pitt Shop is on the lower level of Brackenridge, accessible from Forbes Avenue.